Please join the Harvard Club of San Francisco and the Harvard Kennedy School Alumni Network for an exclusive reception and conversation with the British Consul General in San Francisco, Mr. Andrew Whittaker. 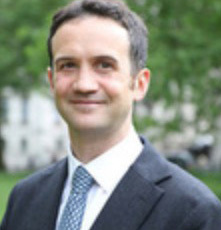 In prior roles, Mr. Whittaker has served as Deputy Director at CERT-UK – the UK’s national cyber security team; as Deputy Head of the Crisis Management Department in the Foreign Office, handling the UK response to incidents ranging from conflict in the Middle East, the sinking of the Costa Concordia, and hostage taking in Algeria. Andrew’s Foreign Office career, also includes postings in Madrid, Jerusalem and Basra.